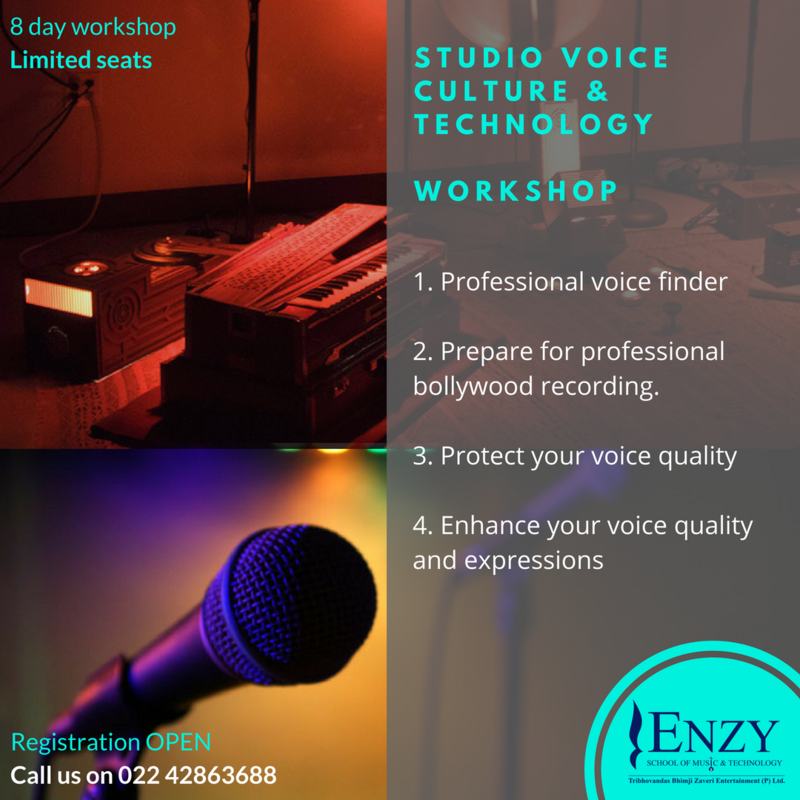 8 Session workshop specially curated for singers to learn about the studio techniques, voice culture analysis, voice microphone techniques & breathing techniques. Record your voice and analyze and improve your voice texture on the microphone. Learn to express emotions while singing in the studio. Use your body and breath to Improve your voice. Eliminate tension and increase focus while performing in professional situations. Develop performance oriented mindset in a studio recording environment. Technique of voice culture is a branch of knowledge. Understanding of science with the feel of the voice. Using the whole body as a musical instrument with voice modulation, breath control techniques, effective pronunciation. 2- Prepare for professional bollywood recording. Understanding the production of tones across the range, understanding the breathing pattern. Choose the correct pitch suitable to the voice. Voice modulation is necessary to reduce the strain on the vocal chords. Certification will be provided by Tribhovandas Bhimji Zaveri Entertainment ℗ Ltd. Eligibility - Completion of 10th Standard.